Mother to be, nurturing a baby... Sometimes we wish could touch it again, as could the next generations of our family. My passion is, that I can help those new mothers capture this loving moment once in their lifetime, and have their very personal family sculpture. The whole casting process is an art form, exciting, a little messy but fun, joyful and emotional; I have seen a few little happy tears from the mum to be. In the past I have cast a family of five, there were two young siblings, dad, and mum with her baby bump, due in two weeks. 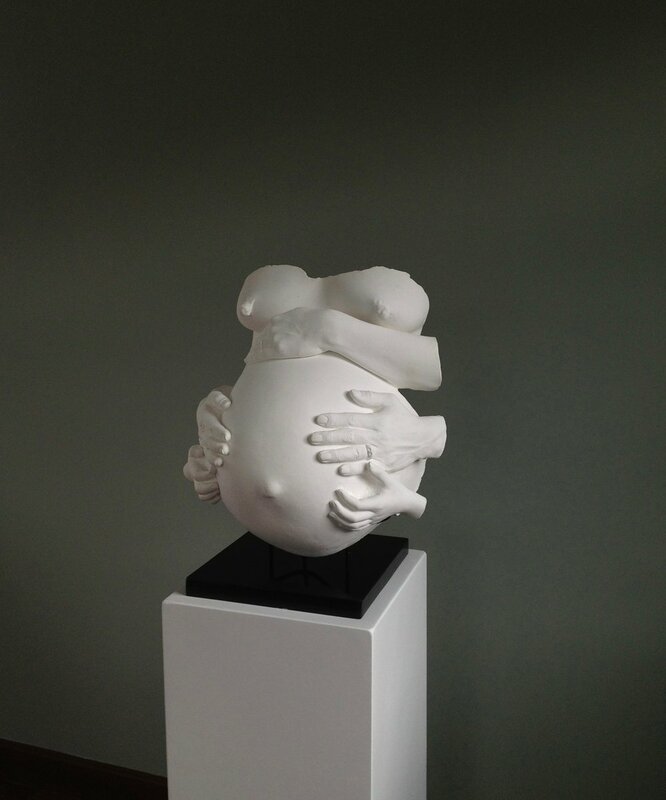 The result was that we had five hands on the baby bump sculpture, a real family event, a great experience, and memory.